SOLD! CONGRATULATIONS to my wonderful clients and friends. 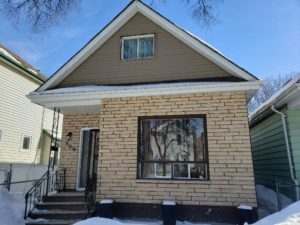 Exclusive and established enclave of East St Paul! Click Virtual Tour Icon ! Incomparable. Magnificent. Outstanding. Your palace awaits. 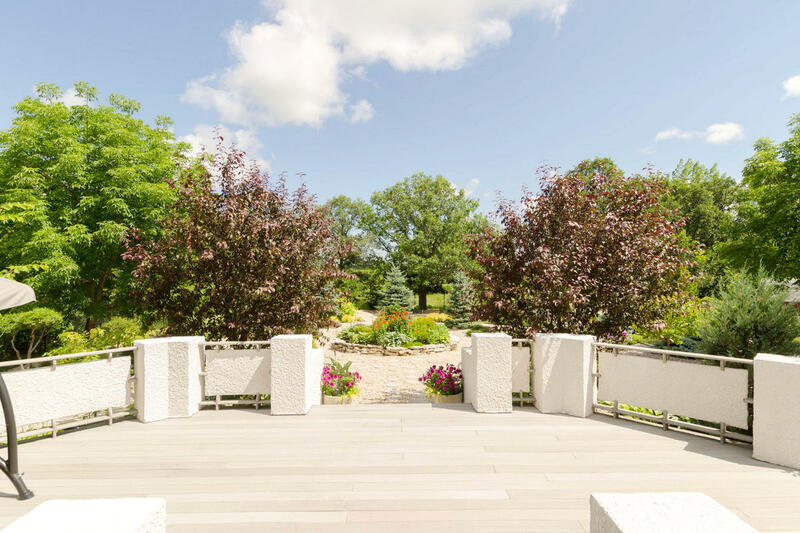 From its majestic exterior and incredible, sculpted landscaping to the meticulously maintained and impeccable interior qualities, this spectacular custom built estate is truly one of a kind. 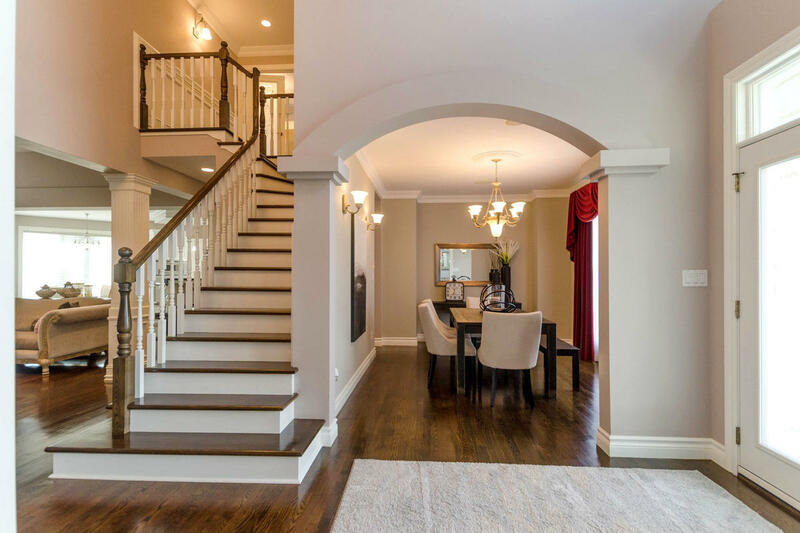 Blending timeless elegance & grace with modern colour palettes & finishes, the grandeur of this stately property is reflected in its quality of workmanship with detailed attention to arched entryways, build-outs & crown millwork, prominent built-ins and wainscoting accents. Masterfully preserved by original owner. 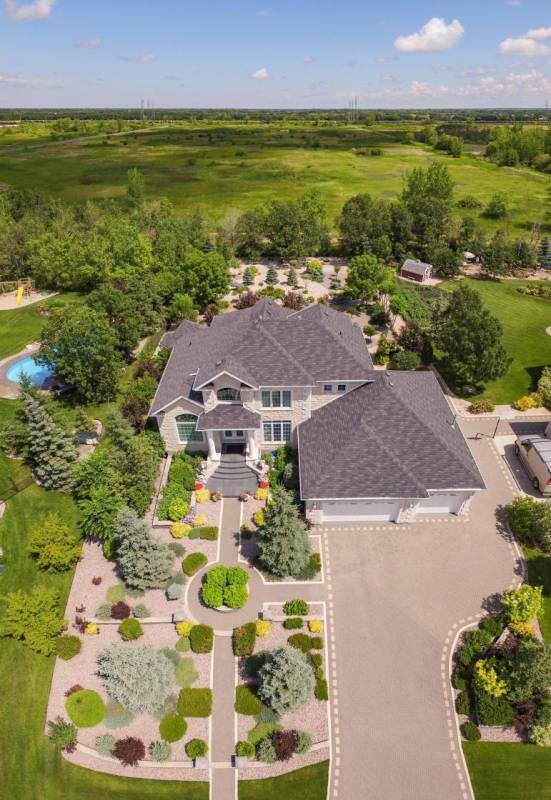 Almost 5,000 sq. 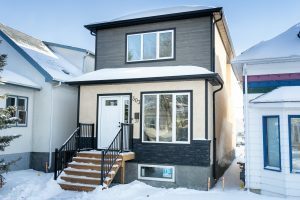 ft. of developed living space on 3 levels with 4+ Bedrooms and 5 Baths plus a uniquely equipped attached & heated 1133 sq. ft. 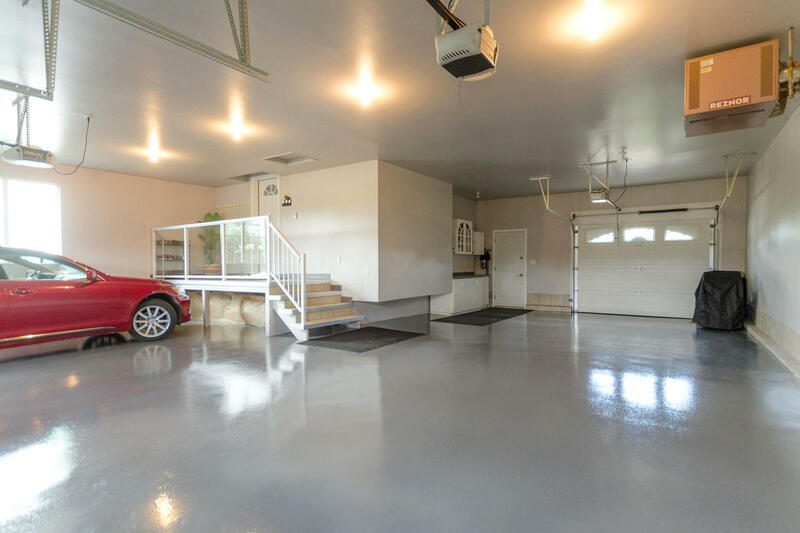 Triple Garage featuring specially Coated Concrete Flooring, elevated & glass enclosed Landing, Cabinetry with Sink and 3 premium Garage Doors allowing access through to backyard oasis! Regal Tyndall Stone with Shouldice Cornerstone Facade. 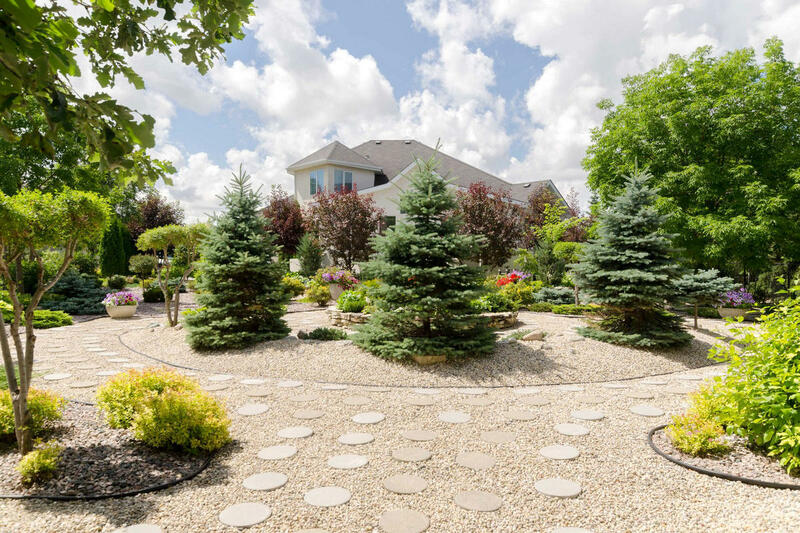 Extended Interlock Driveway flows to masterful arrangement of walkways interwoven with a glorious assortment of plants, shrubs & flora. 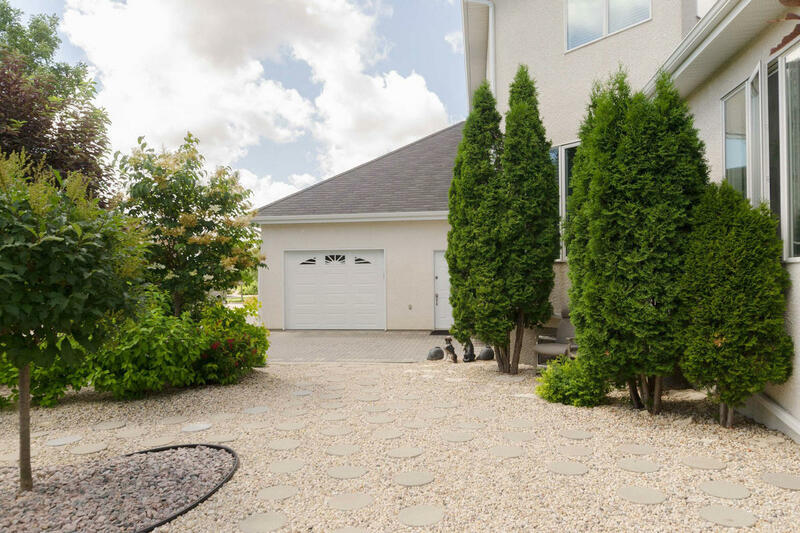 Driveway extends on east side along neighbouring property for convenient access to backyard. Grand entryway is anchored by a Slate Staircase, Double Door assembly with etched glass inserts & Transom Window flanked by fluted Columns and Stone Lions. A bounty of custom, Triple-Paned Windows cascade natural light within the Interior, a majority of which are fitted with grills and adorned by premium window treatments and Hunter Douglas Blinds. Interior Painting completed in 2016. 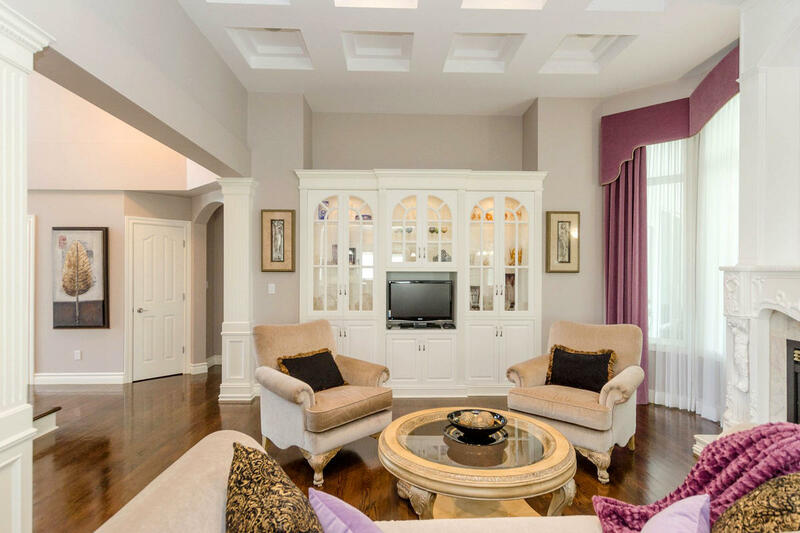 Grand Foyer with refined Chandelier towers open to 18 ft. Ceiling. 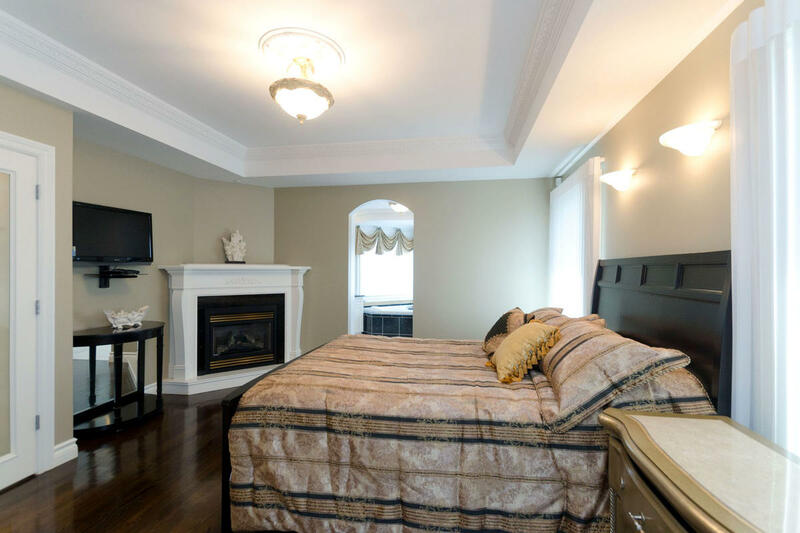 Stunning Oak Hardwood Floors grace main & 2nd Floor including Staircases to lower and upper levels. 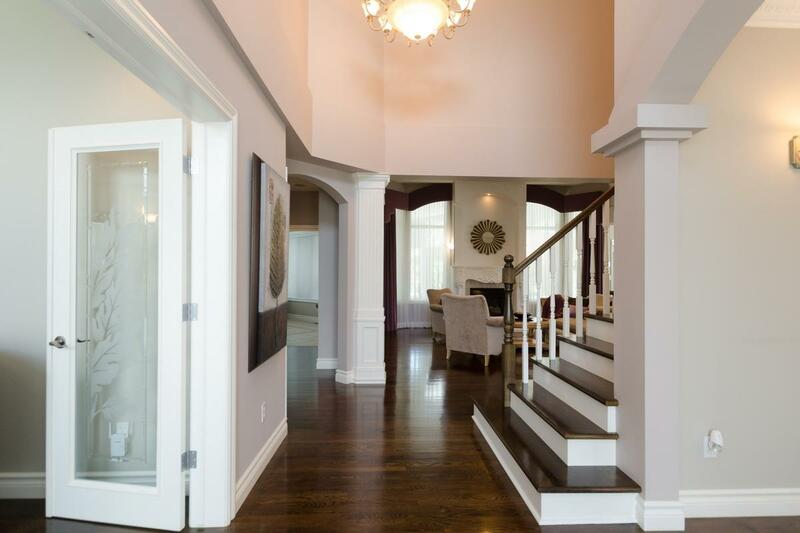 Custom French Doors with etched Glass Inserts, tall Baseboards and quality Millwork throughout. 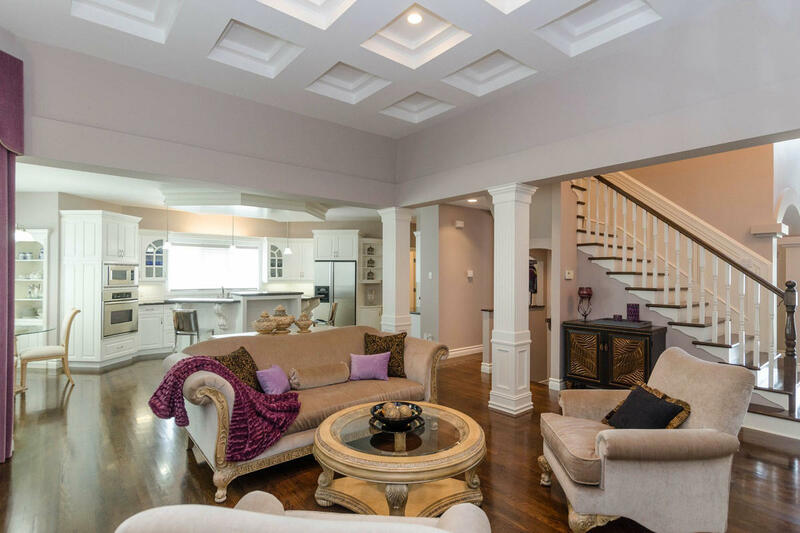 Main Floor 9 ft. Ceilings elevate to 12 ft. Tray Ceiling in the open concept layout of the Great Room and designer gourmet Kitchen. In-Ceiling Speakers – 2way – Audio Receiver included! 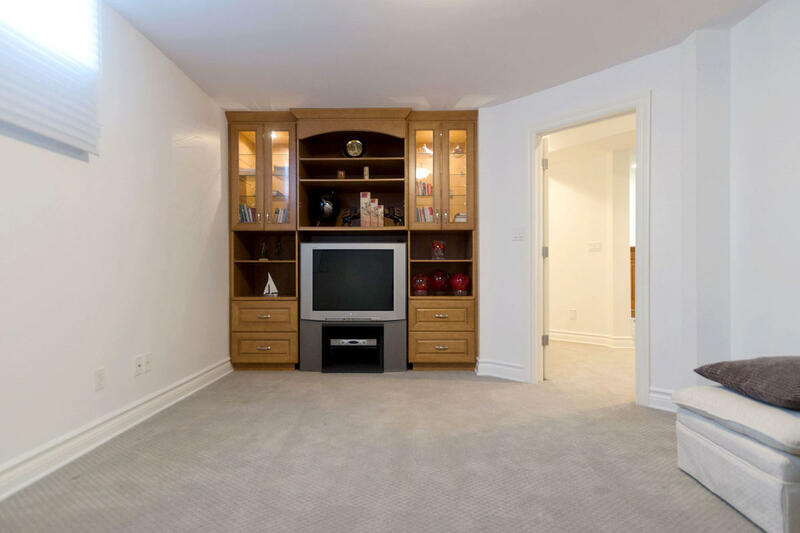 Gorgeous Built-In Display & Storage Unit set within Alcove. 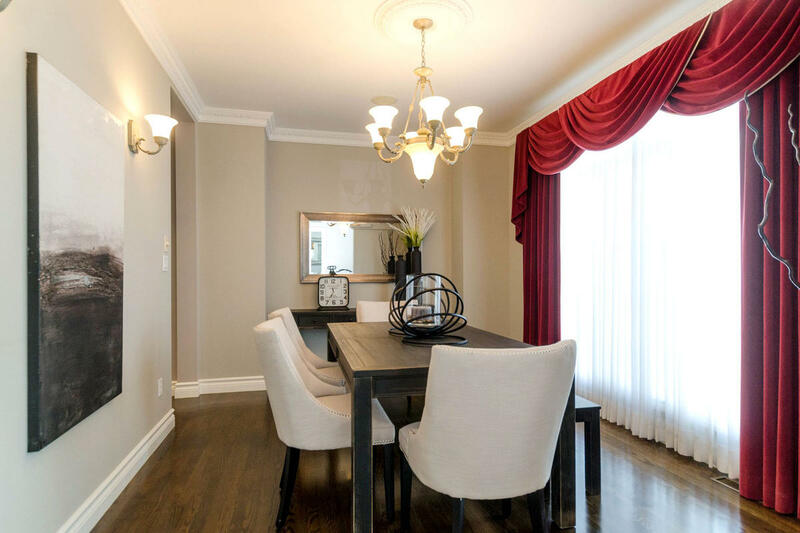 Fluted Columns with Wainscoting accents. 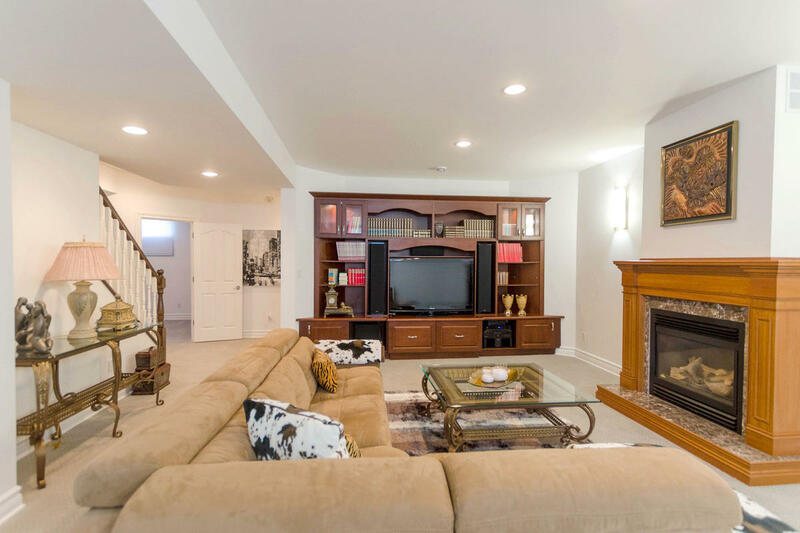 This space showcases an extraordinary Fireplace hallmark that towers from floor-to ceiling with marble tile accents and detailed craftsmanship. 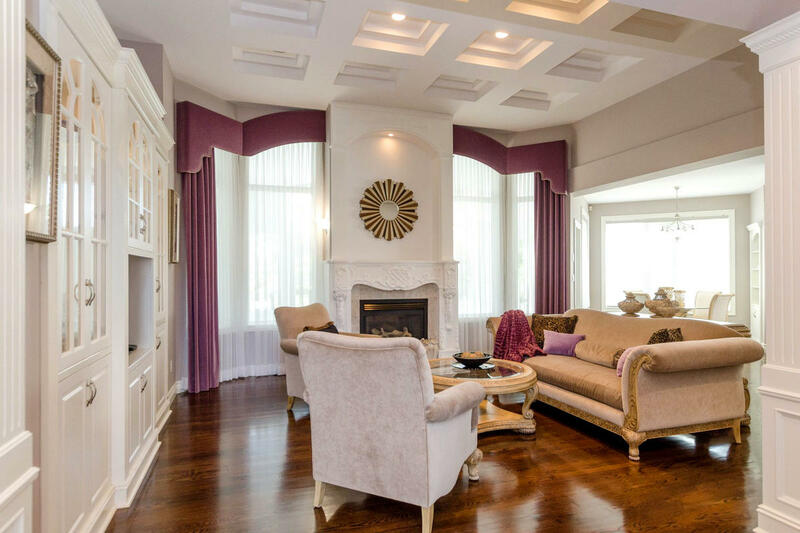 This striking feature is flanked by a vaulted bank of windows adorned with elegant window treatments. 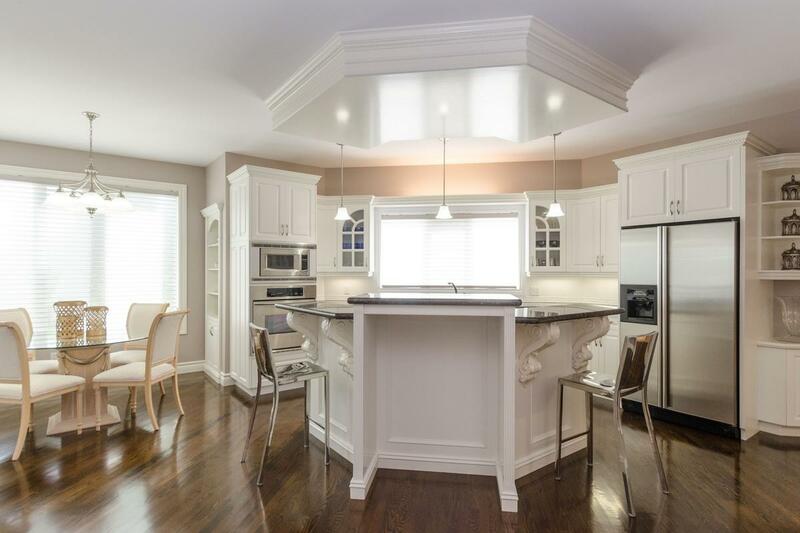 Built-in Desk & Display Cabinetry alongside Walk-In Pantry. Dinette offers a suspended light fixture, two large Windows and built-in Cabinetry. Located on main floor adjacent to front Den. 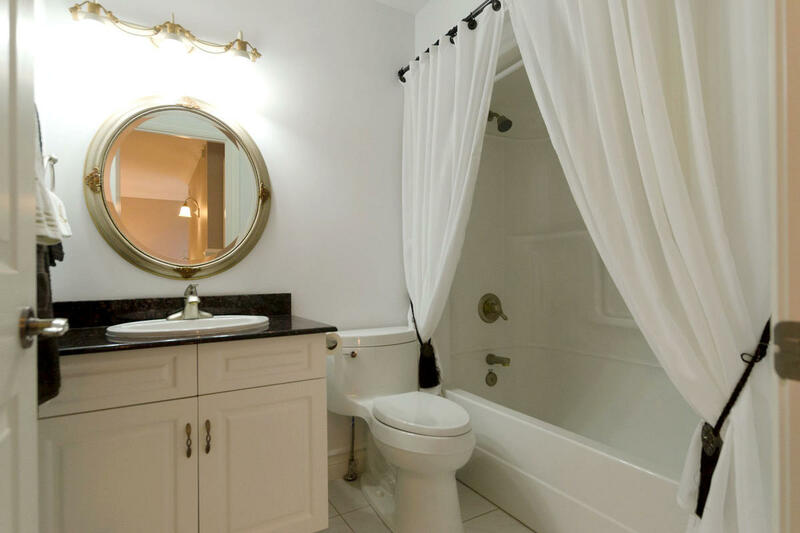 Bright, versatile space that can easily accommodate an alternate use. 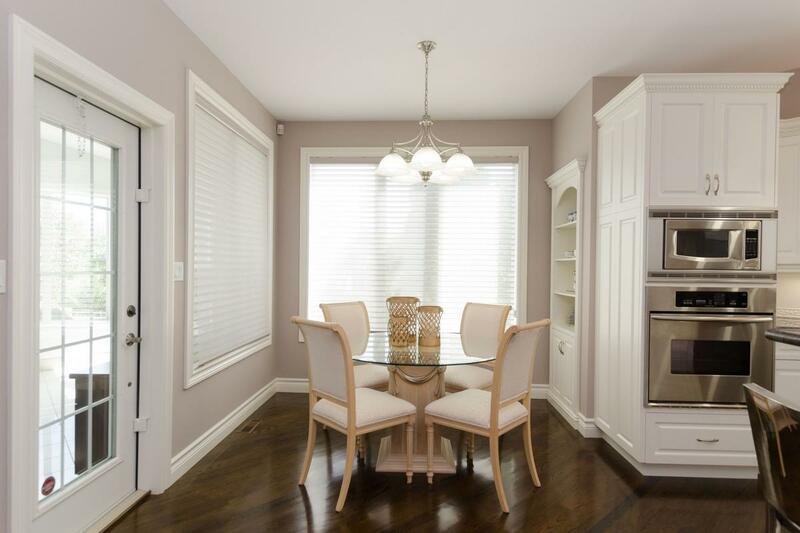 Equipped with Hardwood Flooring, modern light fixture, storage Closet and two large, arched Windows provide options. 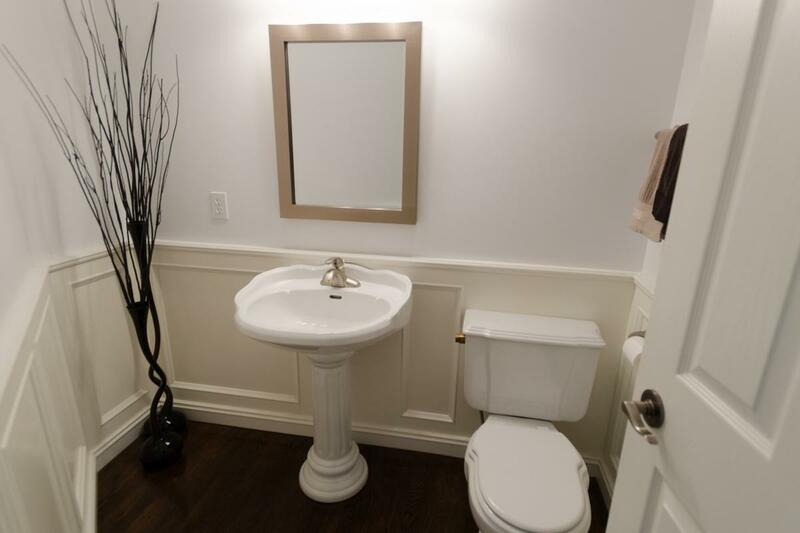 2pc Bathroom located near Foyer features Wainscoting, Pedestal Sink & Hardwood Flooring. 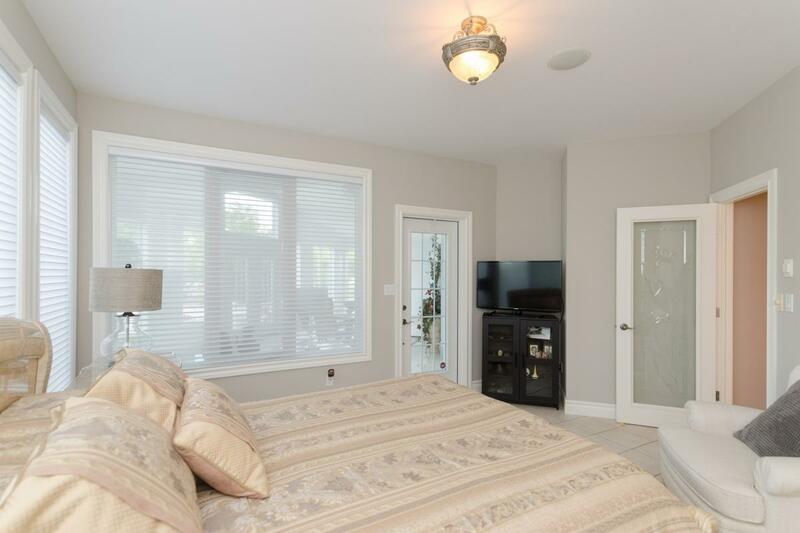 Views to adjacent Sunroom and exterior through 3 large Windows. Ceramic Tiled Flooring equipped with radiant heating! 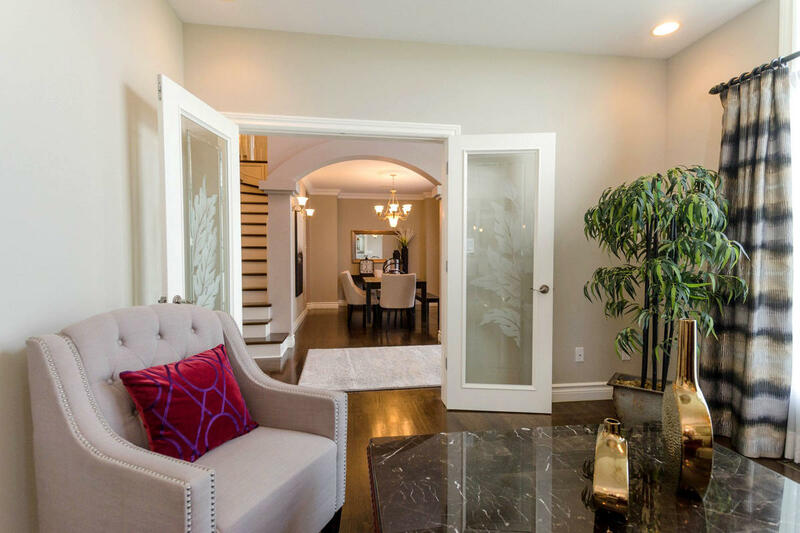 Gorgeous glass paneled Entry Door and French Door opens to Sunroom. Over 480 sq. 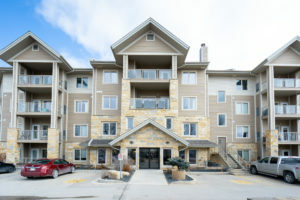 ft. with towering Ceilings and a wall of Windows with Double French Doors to the expansive Deck and tranquil Backyard. Volumes of natural light cascade into this space. 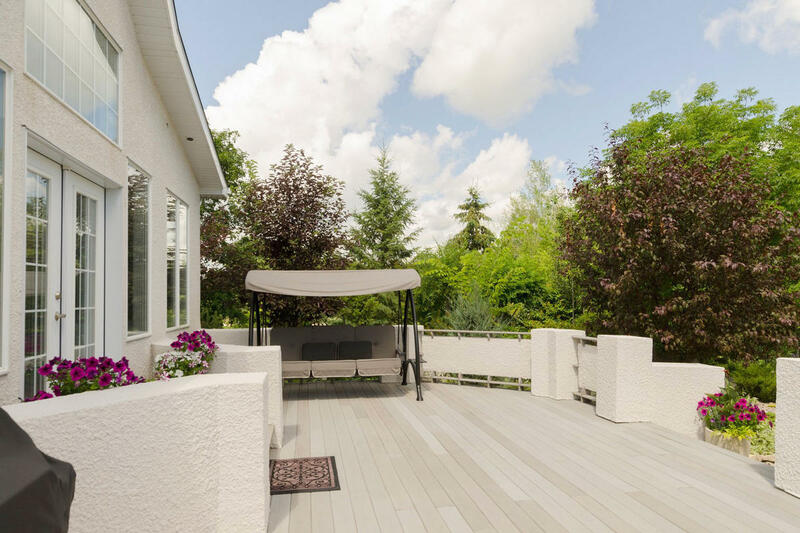 It’s a wonderful option to the Deck and provides shelter from the elements when needed without sacrificing those amazing views. 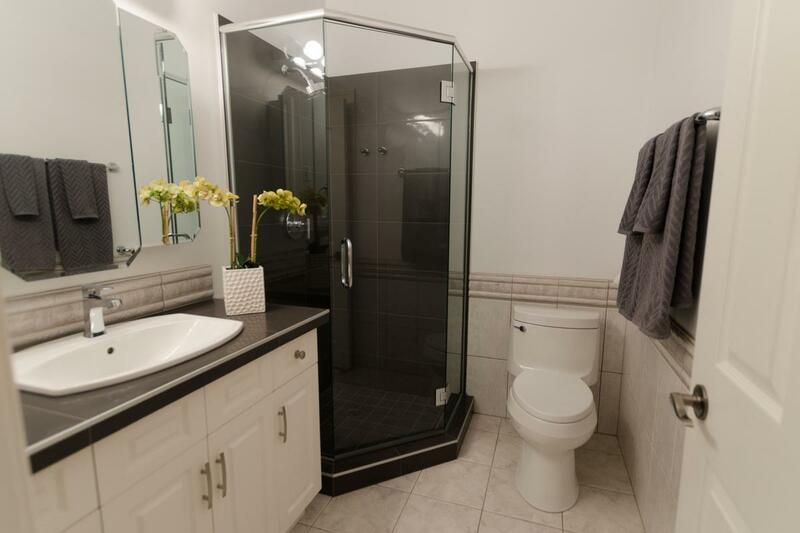 Two beautiful, custom built Maple Storage Hutches are included and provide a striking contrast against the pristine Ceramic Tile Flooring extending to Baseboards. A substantial high-calibre Iron & Stone Patio Table plus 6 Chairs & Area Rug– INCLUDED! Deluxe Ceiling Fan provides airflow when needed. This impressive addition was built on Piles in 2004 and serves as an excellent barrier & insulator from those north winds in the winter months. Solid Oak Staircase with decorative Wainscoting paneled Wall lead to 2nd level. 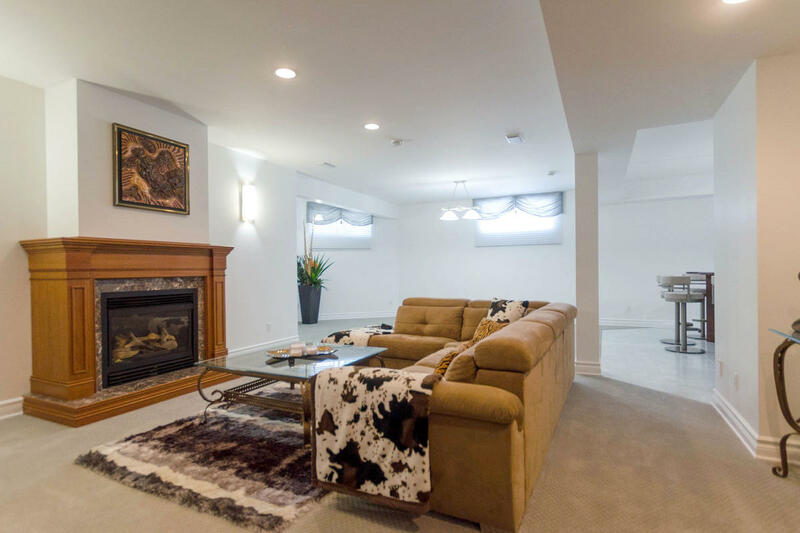 Regal corner Gas Fireplace and included wall-mounted flat panel TV! 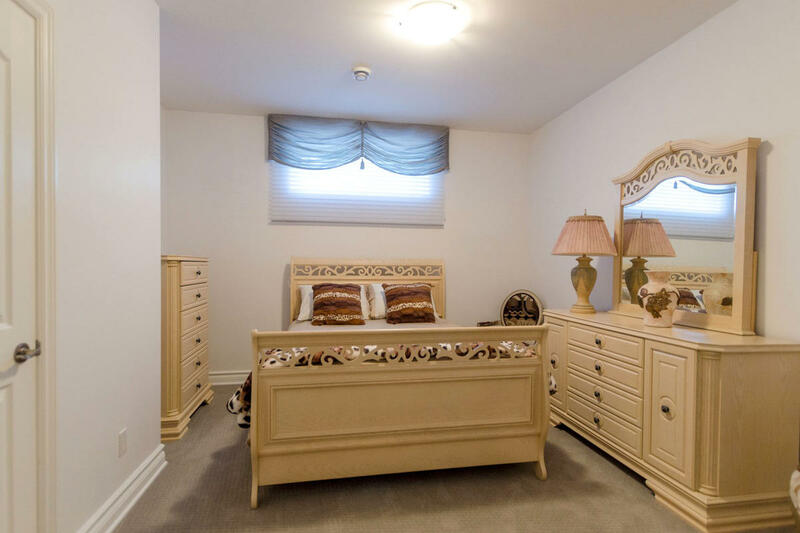 Spacious Walk-In Closet will accommodate your extensive wardrobe. 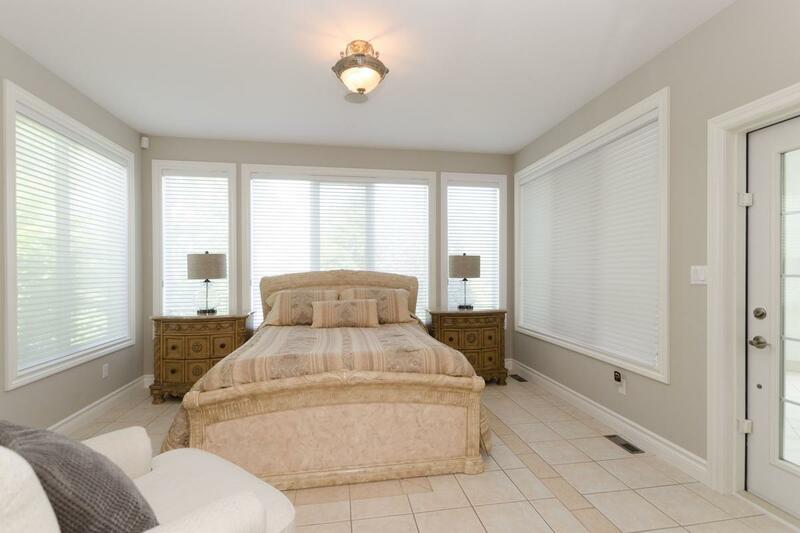 Two large Windows allow for ample natural light. Spa-like retreat! – Lose yourself & relax into this Oasis. 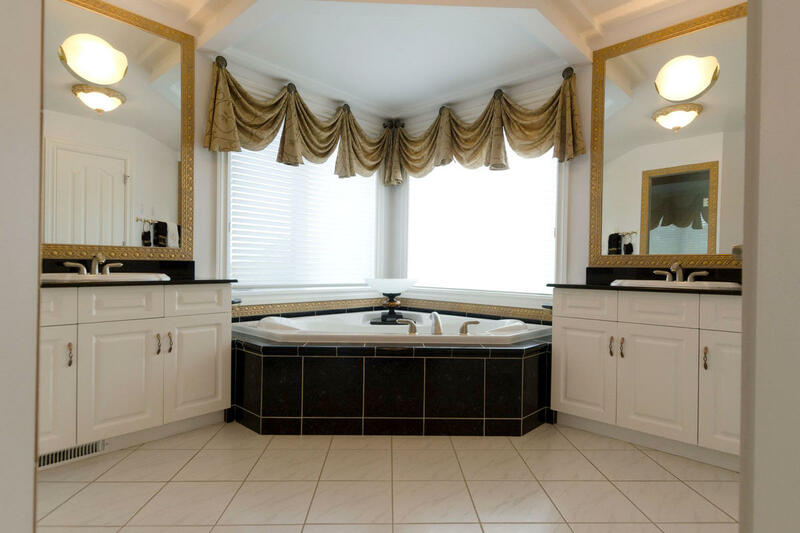 Granite Countertops for shared bliss! 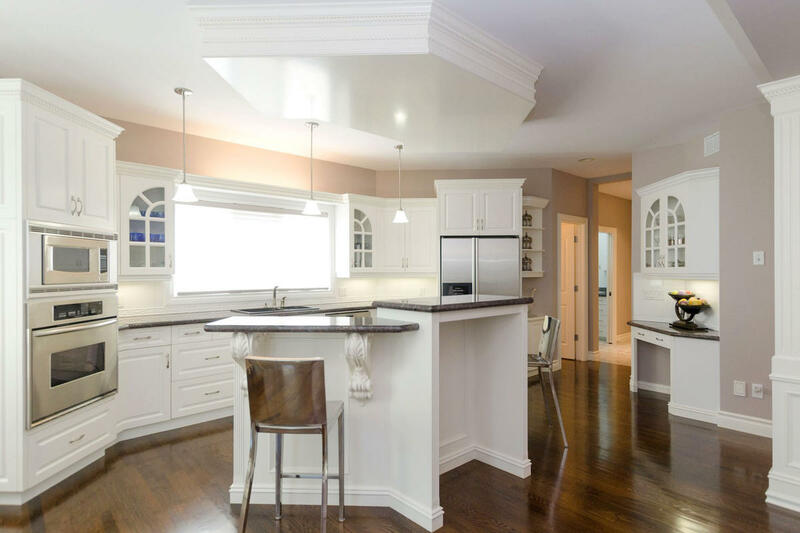 Plenty of room with ample storage Cabinetry. Separate toilet facility for privacy. 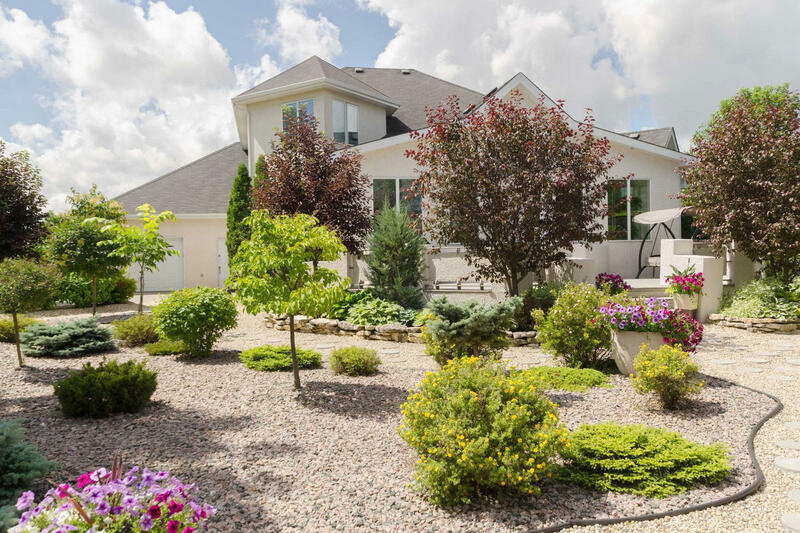 Impressive & expansive with an abundance of functionality! It’s an entertainment haven and relaxing retreat. 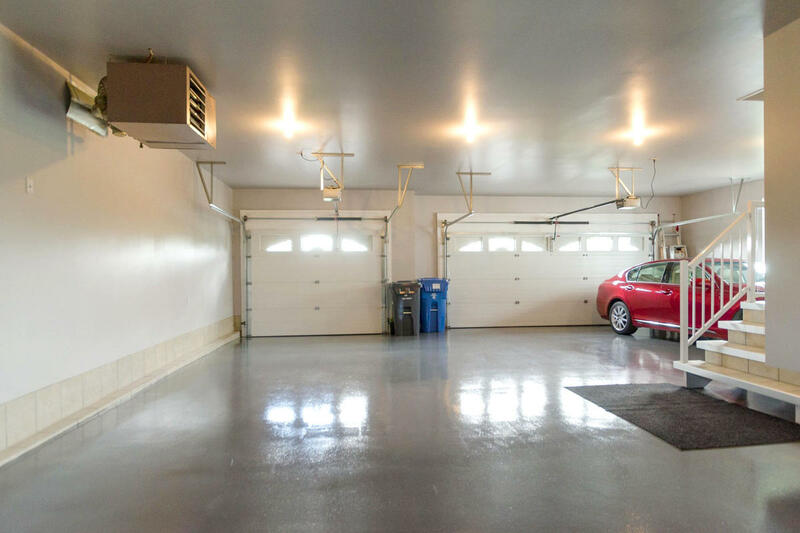 Entire Basement Level is equipped with In-Floor Radiant Heat! 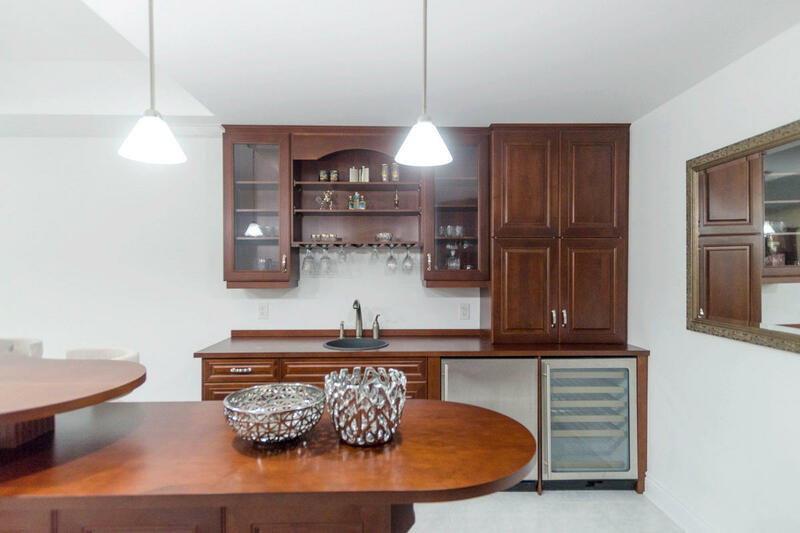 Wet Bar with Granite Sink & premium faucet assembly – Stainless Steel Mini Fridge & Wine Cooler – included! 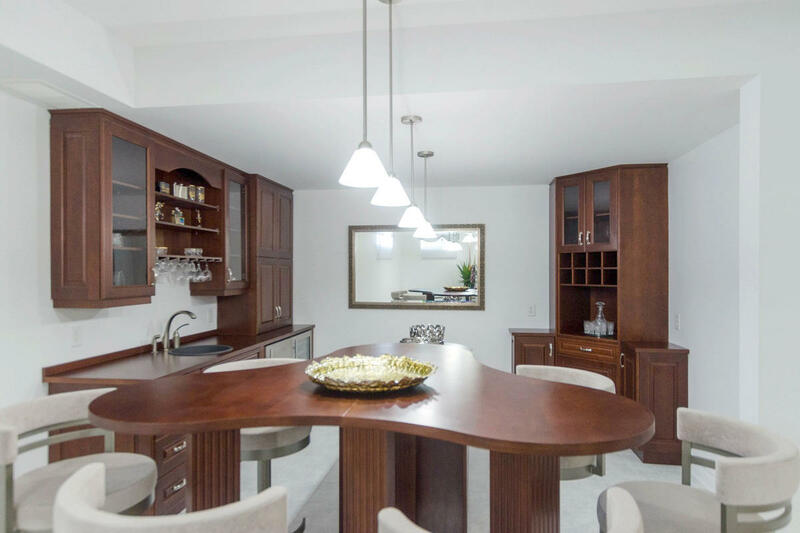 Distinguished & detailed Maple veneer Cabinetry – numerous array of storage drawers and glass paneled display shelving. 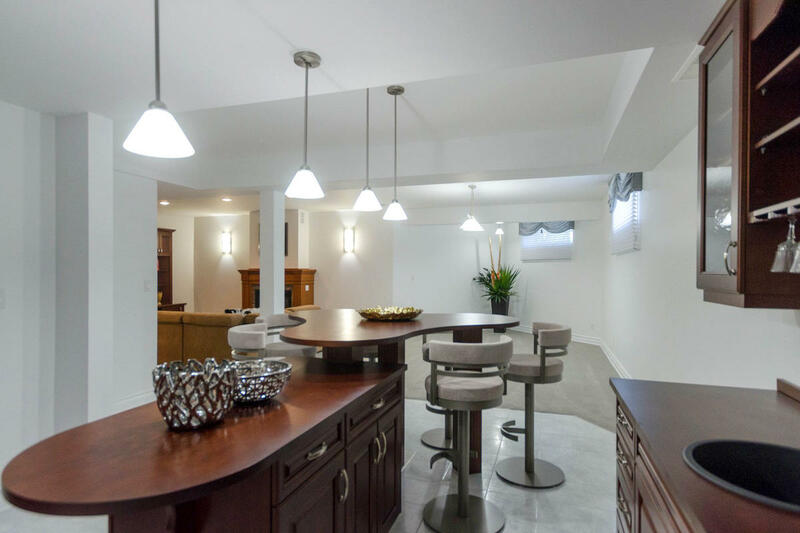 Pendant Lights, Tiled Flooring & those chic, sophisticated Bar Stools (6) are included and add that perfect touch to make this space so marvellous! Built-In Cabinetry allows for organized Storage! 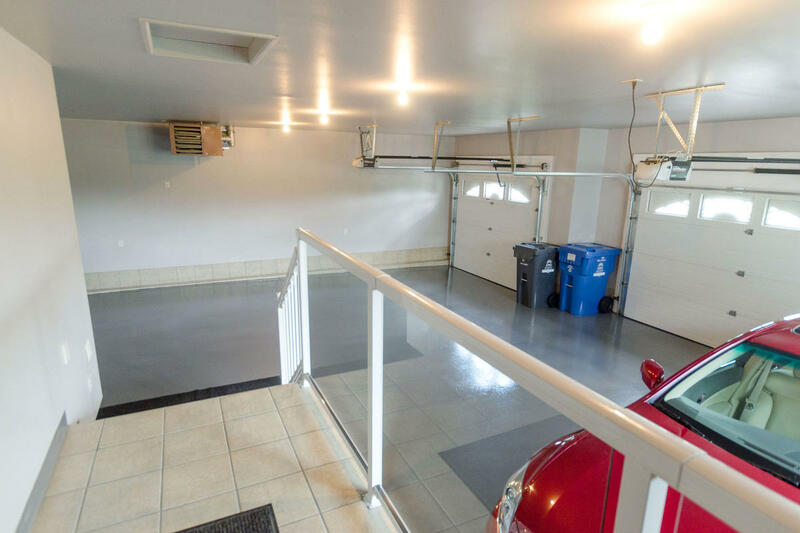 Large, elevated & tiled Landing with aluminum railing & glass inserts. A glorious space that’s both impactful and breathtaking! Piled Composite Deck measures 30’ x 15’ with prominent Stucco Walled Framing. 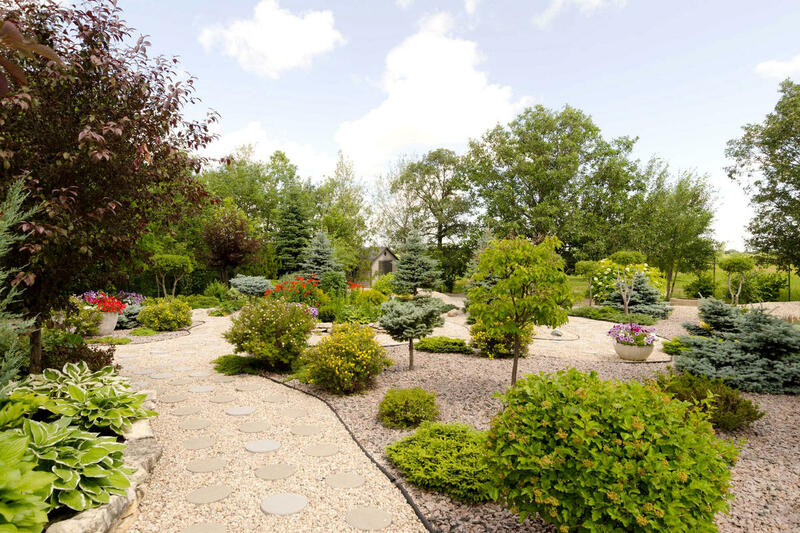 Walk down through a purposefully designed maze of gravel rock pathways, dotted with aggregate & concrete stepping stones. 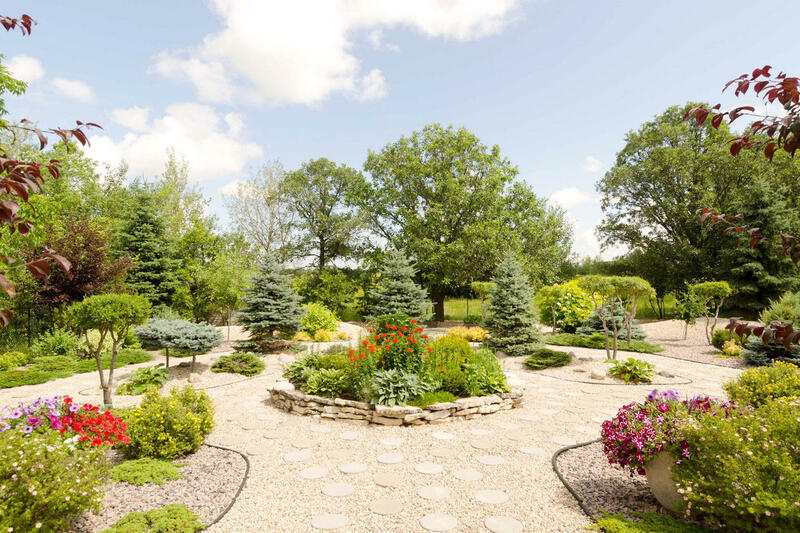 A lavish array of trees, shrubs, plants, perennials and assorted flora are poised on gravel rock beds throughout. It’s a veritable ‘Garden of Eden’ usually associated with a palatial setting. 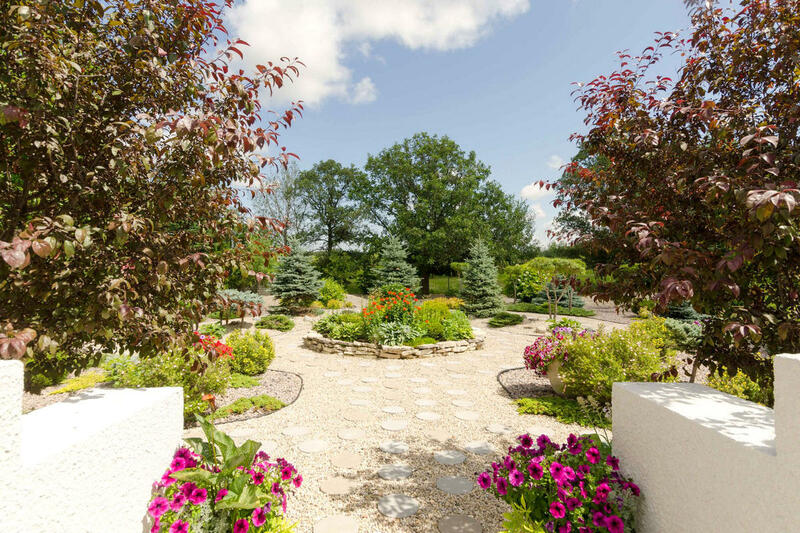 Most everything is manicured and meticulously maintained. It’s easier than it appears to sustain due to the maturity and degree of drought-tolerance of this greenery. 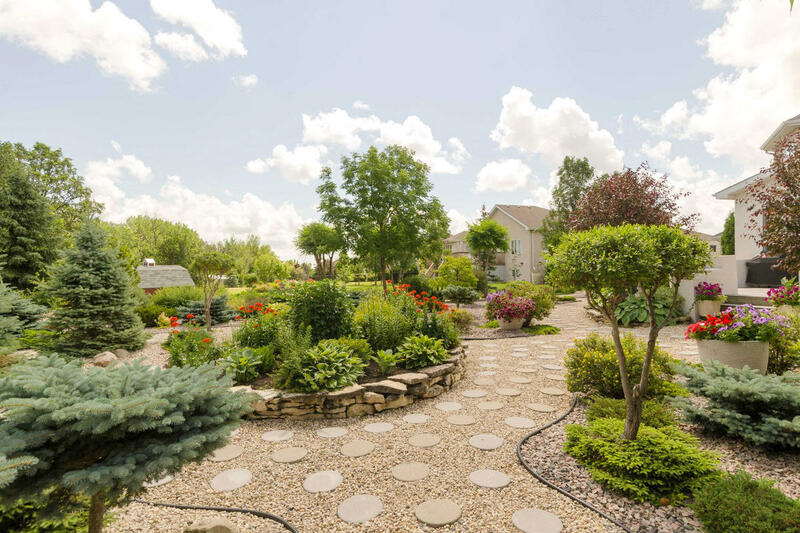 A private setting has evolved as a result of the maturing foliage within the landscaping design. 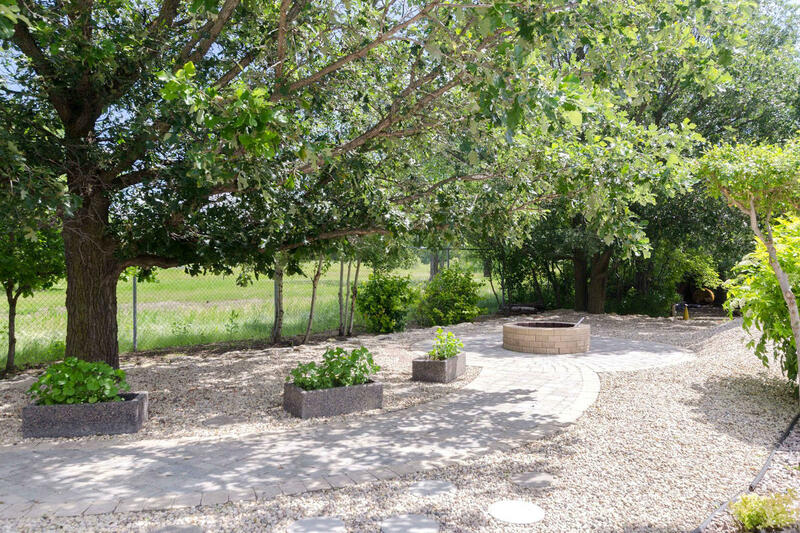 The Interlock Brick Pathway at the rear of the yard provides access to a serene Fire Pit Sitting Area and ideal vantage point for the spectacular surroundings including the vast greenspace beyond the property limits. Just another value-added element of this stately manor. Simply sublime. 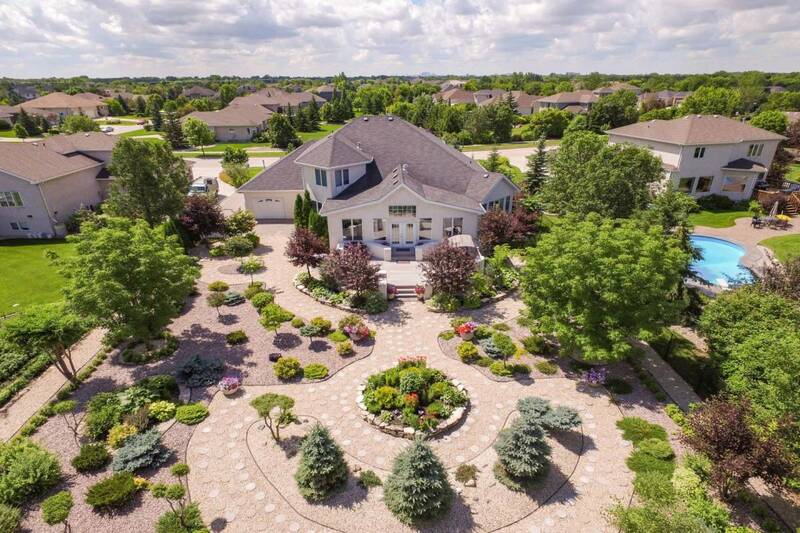 One of a kind with sought after distinction that’s sure to marvel and impress. Absolutely impeccable with virtually nothing to do but turn the key and reside. 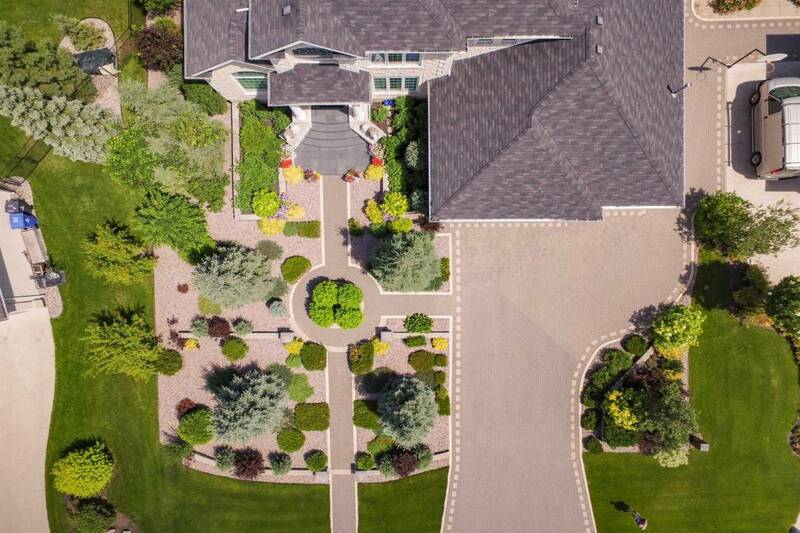 A truly opulent and superbly maintained estate. An opportunity is afforded to take advantage of most furniture pieces as inclusions within your offer price. Option exists to realize a possession date within a reasonably advanced time-frame. 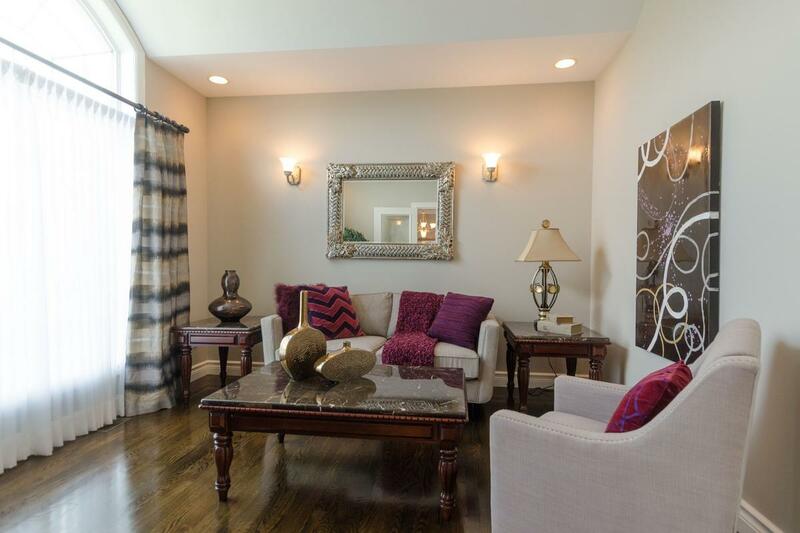 Sunroom included in above ground Living Area square footage.